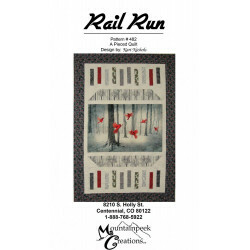 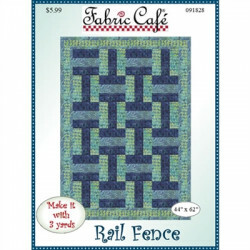 Rail Fence 3 Yard Quilt PatternWith this economically-priced pattern, you simply take 3, one-yard cu.. 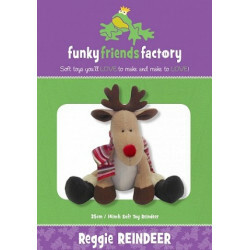 Finished Size: 14in / 35cm.This cute little reindeer wants to grow up to help Santa, just like his b.. 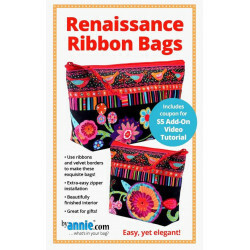 This is a Pattern.﻿Add a little luxury to your daily routine! 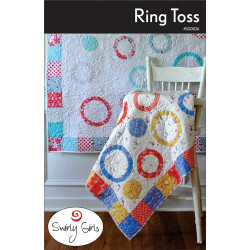 Use a variety of ribbons and borders t..
Ring Toss Quilt pattern by Swirly Girls DesignA pain free way to do circles! 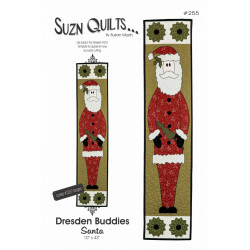 These circles are cut t.. 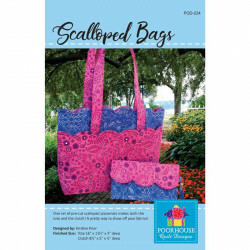 These Scalloped Bags are so much fun to make, and we make them with a no binding technique! 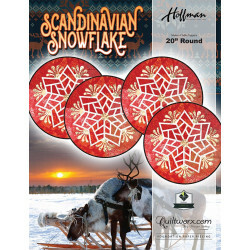 Uses one..
Scandinavian Snowflake by Hoffman This listing is for a quilt table topper pattern designed by ..
Scrappy Petals is an easy to piece scrap quilt using dimensional curves. 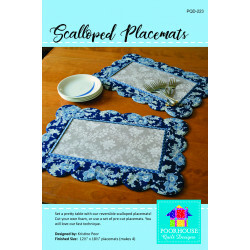 Make several fun petal bloo.. 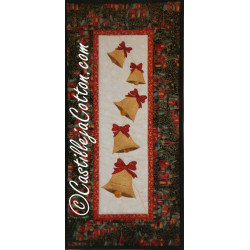 If you love big sparkly stars, then this is the quilt for you! 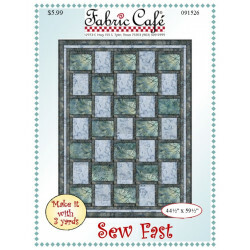 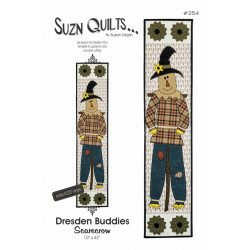 The Sew Day quilt is 72-1/2in x 72-1/.. 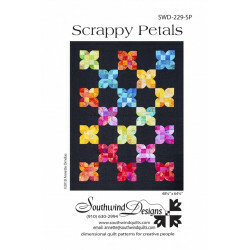 This beautiful quilt pattern was designed by Donna Robertson of Fabric cafe as one of their many uni..